It’s said that good things come in little packages. Well, so Peter Jackson contends – yes, he’s sent over some more pictures from his two upcoming movies based on JRR Tolkien’s The Hobbit. They look like fierce little things, don’t they? 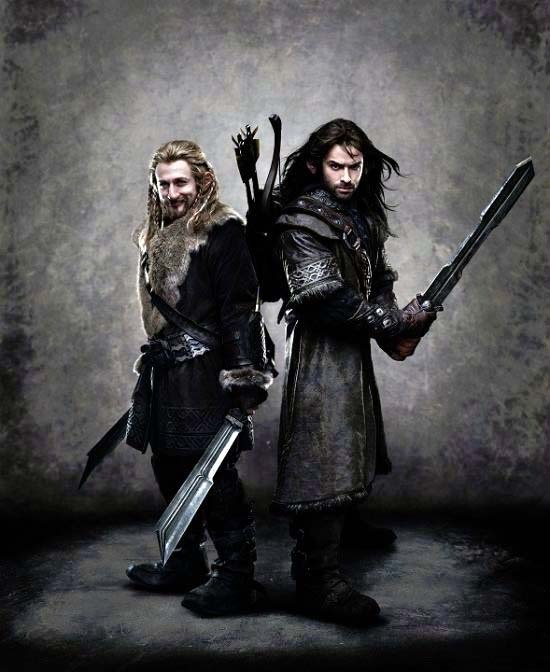 I give you Fili and Kili (aka actors Dean O’Gorman and Aidan Turner). 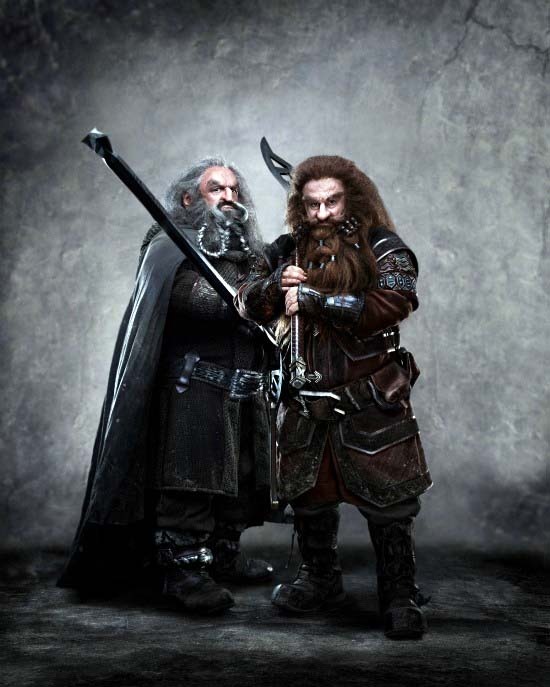 And I give you Oin and Gloin (otherwise known as John Callen and Peter Hambleton).